Frank LaPena, History of California Indians. ca. 1990. 8 hand-colored lithographs, 28 x 19 in. (each panel). Collection of the Artist © Frank LaPena. 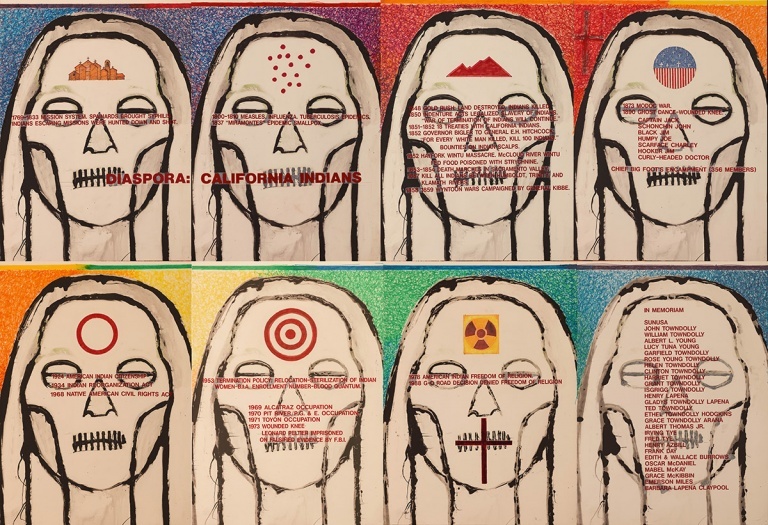 When I Remember I See Red: American Indian Art and Activism in California features contemporary art by First Californians and other American Indian artists with strong ties to the state. Spanning the past five decades, the exhibition includes more than 65 works in various media from painting, sculpture, prints, and photography, to installation and video. More than 40 artists are represented, among them pioneers such as Rick Bartow, George Blake, Dalbert Castro, Frank Day, Harry Fonseca, Frank LaPena, Jean LaMarr, James Luna, Leatrice Mikkelsen, Karen Noble [Tripp], Fritz Scholder, Brian Tripp, and Franklin Tuttle, as well as emerging and mid-career artists. Taking cues from their forebears, members of the younger generation often combine art and activism, embracing issues of identity, politics, and injustice to produce innovative — and frequently enlightening — work. 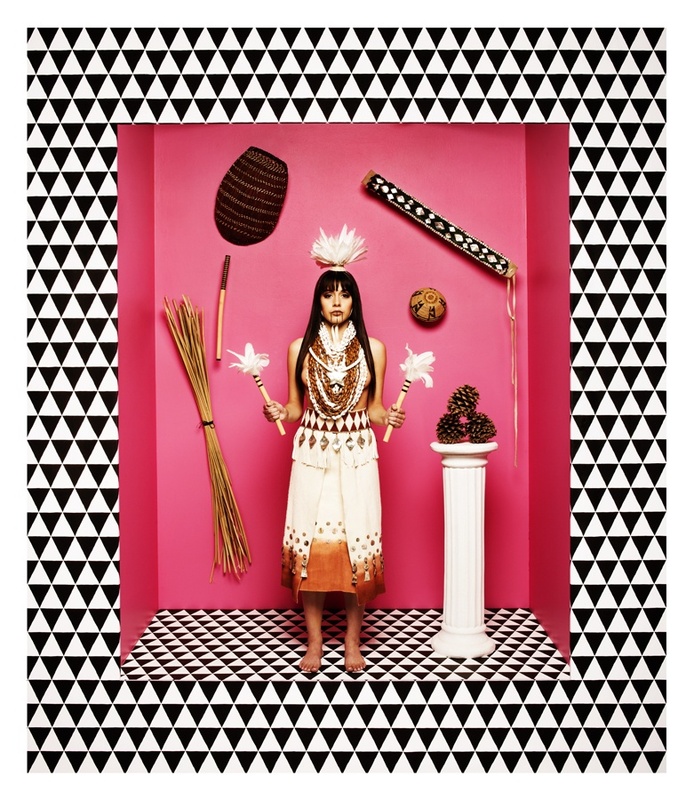 The exhibition transcends borders, with some California artists working outside the state, and several artists of non-California tribes living and creating within its boundaries. Diverse cultural influences coupled with the extraordinary dissemination of images made possible by technology have led to new forms of expression, making When I Remember I See Red a richly layered experience.